DUBAI/TOYKO (Reuters) - SoftBank Group Corp <9984.T> Chief Executive Masayoshi Son, whose $93 billion Vision Fund drew nearly half its money from Saudi Arabia, cancelled a speaking engagement at the kingdom's investment conference this week, two people familiar with the matter told Reuters. Son's absence from the stage is a marked contrast to last year's inaugural event, where the 61-year-old Japanese entrepreneur was a notable presence, lending credibility to Crown Prince Mohammed bin Salman's efforts to attract foreign investment. In a sign of its commitment to the Gulf kingdom, SoftBank's representative on the opening day of the event, Vision Fund Managing Partner Saleh Romeih, reiterated the fund's plan to open an office there. Son's speaking cancellation comes as pressure mounts on Riyadh over Khashoggi, with many high-profile company executives pulling out altogether. SoftBank representatives did not respond to requests for comment. Son's speaking cancellation was first reported by the Wall Street Journal. 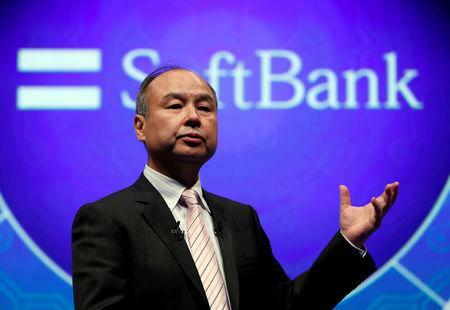 Nearly half of the more than $93 billion raised last year to create SoftBank's Vision Fund came from Saudi, giving Son the firepower to make big bets in late-stage startups such as Uber Technologies Inc [UBER.UL] and shared office space provider WeWork Cos. However, alarm over Saudi's involvement in the disappearance and death of Khashoggi has underlined his investment juggernaut's reliance on backers such as the kingdom at a time of rising political tensions. That has left SoftBank weighing its loyalty to Saudi as it eyes the shifting tides of public opinion following the death, the stance of U.S. President Donald Trump's administration and the attitude of the tech community. "We haven't been through a tech downturn period - it would probably be good to do that before they raise another (Vision Fund)," said Hong Kong-based Morningstar analyst Dan Baker.